While cornices, valances and drapery panels are the most common types of window treatments, they aren’t your only options. Sometimes, something a bit non-traditional may be just the thing that makes your room unique. 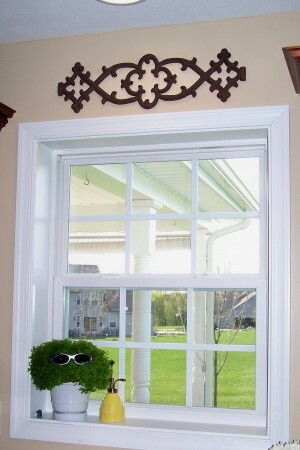 Vinyl letters or images can also dress up a window without the use of fabric. 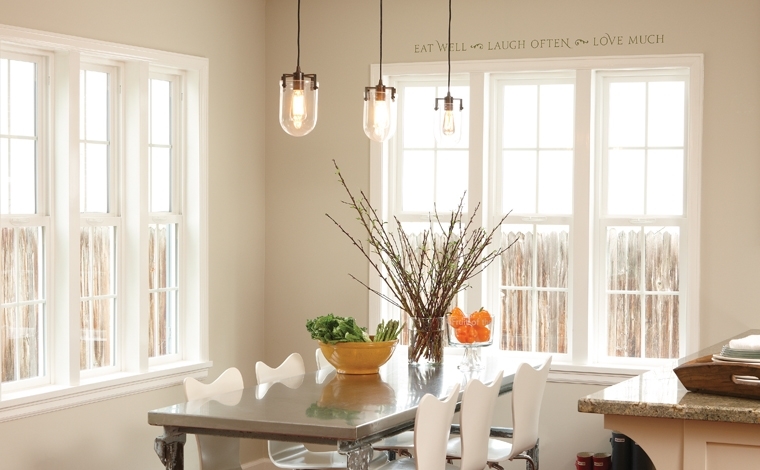 Check out this simple quote above a kitchen window, courtesy of Uppercase Living. A geometric stencil from a company like Cutting Edge Stencils could also be a great way to dress things up without fabric! You’ll notice with the above several examples of items that are hung above windows or doors instead of on them, that this can be a great way to deal with difficult windows or doors that open. Fabric window treatments can sometimes get in the way of doors that swing open, and they can also cover too much glass on bay or smaller windows. 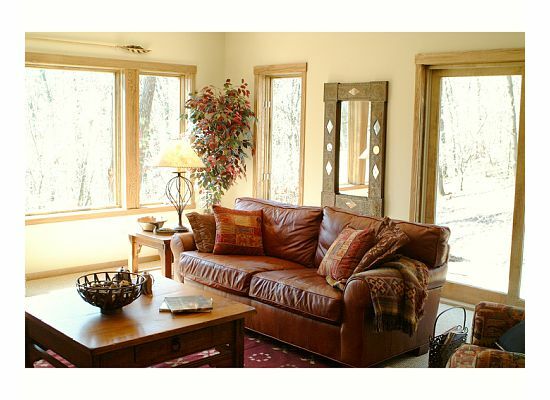 Consider using the space ABOVE these doors and windows to add style without adding frustration to your day. I especially love this example – probably because I designed the room(!) – using an old spear. An old fishing pole, a piece of birch branch, or an oar could also work. Use your imagination and think about things that mean something to your family as options for non-traditional window treatments. Window treatments don’t have to involve fabric. 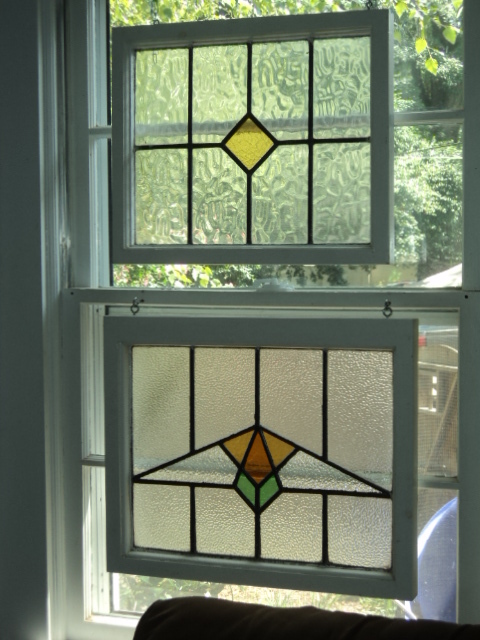 Think outside the box and look around your home for things that could dress up your windows. You never know where inspiration will present itself. By going a bit non-traditional with your window treatments, you can create a truly meaningful, one-of-a-kind space for you and your family. This post really had some good ideas. 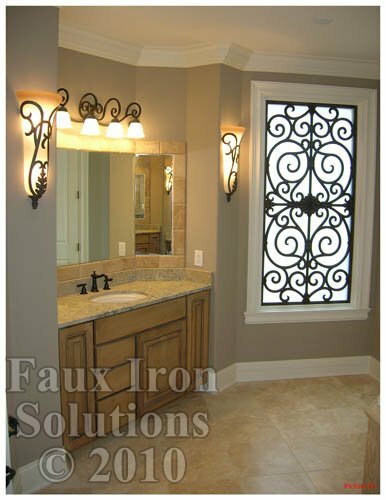 I especially like the idea of etched glass for a bathroom. 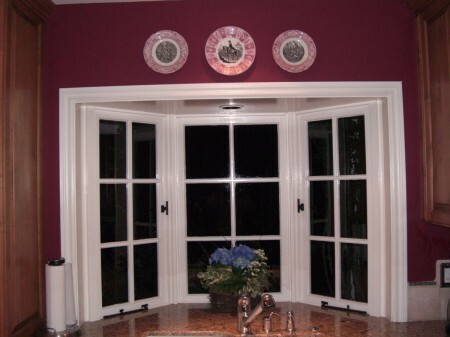 Thanks for featuring our kitchen bay window. You’re so very welcome! I’m glad you enjoyed the article…thanks so much for stopping by to check in!